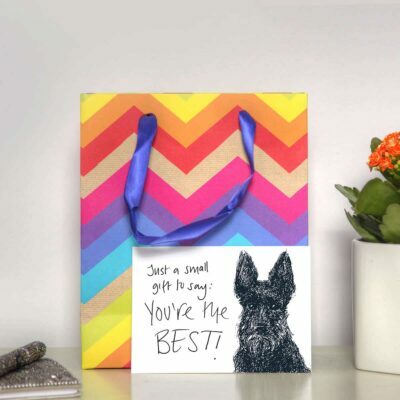 Choose from our selection of scottie dog gifts, including stationery, kitchen gifts and tote bags. Are you a tough wee terrier – independent, intelligent and stubborn? Mischievous with a great sense of humour, the Scottish terrier is sensitive to praise or blame and is incredibly loyal, making it a great companion. Did you know?…throughout history the Scottie dog’s headstrong temperament has often been perceived as bravery? In the 1800s, Scottie dogs were considered so brave in battle they were given the nickname “diehards”!